Who doesn’t like a good arcade? 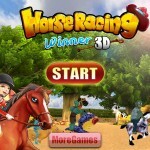 What could be better than a combination of fun arcade style game play that involves horses? Players will enjoy the opportunity with these horse racing arcade games to get the adrenalin pumping with some fun, yet challenging arcade style games. Racing against others and playing some of your favorite carnival games is the perfect style game for those who love action. 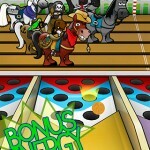 Arcade horse racing games involves high energy, high stakes and non-stop fun.